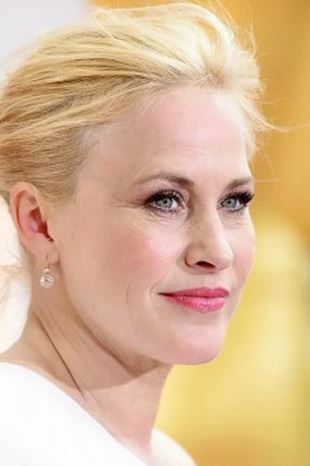 Patricia Arquette, in a win that surprised no one, became “Boyhood”s first win of the night, and took home the first Oscar in her family, for Best Supporting Actress. She gave a rousing feminist speech that had Meryl Streep leaping to her feet. Another expected win was for Emmanuel “Chivo” Lubezki for Best Cinematography for “Birdman.” That was also “Birdman”s first win of the night. So it’s “Grand Budapest Hotel” so far in the lead with the most Oscars with two wins. But wait! No! “Whiplash” is tied with GBH with two, one for Best Supporting Actor and one for Best Sound Editing. And “Birdman” and “Boyhood” each now have one. This middle part of the Oscars is where it REALLY sags. Although Neil Patrick Harris spiced things up by doing a “Birdman” spoof, running through the hallways of the Dolby Theater in his tighty whiteys, followed by a percussive drum beat (as in the movie) that turned out to be being played by Miles Teller! The star of “Whiplash.” Or should I say CO-star? J,K. Simmons was really the co-lead. Or the lead. He wasn’t Supporting at all, but that’s what he won.